Most people don't spend as much time in the sand vacationing in the Caribbean. 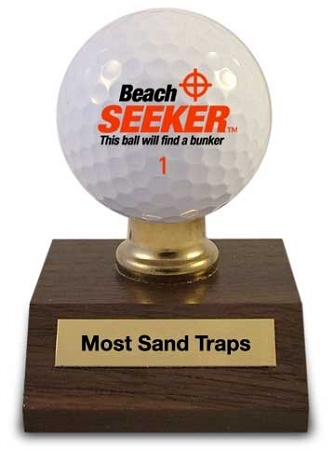 It's not just your knack for landing in all those sand traps, but also your inability to get out that has clenched this award for you. The next time you hit the course you may want to consider renting a camel instead of a golf cart.